Last year I read an AMAZINGLY powerful book by Patrick Carman called Thirteen Days to Midnight. It was thought provoking and POWERFUL. 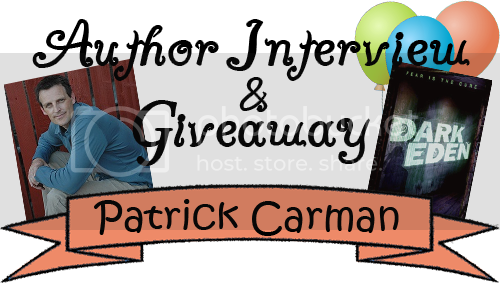 I'm very pleased to feature Patrick as part of the bash and talk about/giveaway his new book Dark Eden which comes out later this year, but you could win it NOW! Read on! If you could have a birthday party with any theme you chose, what would the theme be? Or Spongbob. He's money on a birthday. Okay. That would be totally awesome. So how do you celebrate a book “birthday”? Do you have release parties? Any traditions? Waffles with strawberries? This is so bad, I don't do anything at all. I write them, send them off into the world, and forget they exist. Pray for my kids. Interesting. So after the book is done you just move on. But what about while you’re writing the book? If you were to describe your writing process in three words, what would they be? Okay that last part was a lie. I don't do that. Ever. And you shouldn't either! Please insert: Gum. Music, quiet, chocolate, etc - that's exactly what I was going to say! Plus coffee. And weed, right? *wink* Which was harder to write: Thirteen Days to Midnight or Dark Eden? Any particular reason why? Thirteen Days, because it was my first YA book and I didn't know where to put the curse words. Seriously. Plus I didn't know how to write a YA book. Turns out it's pretty hard. But I loved doing it. That WOULD be hard! I know that I’m really picky about curse words in books, and I think you did a great job. 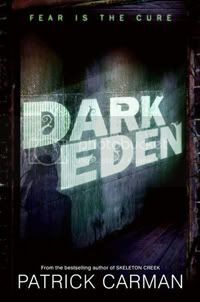 I believe Dark Eden is a standalone (yes?) and so is Thirteen Days to Midnight. Have you considered writing a longer YA series? Similar to Elyon(his middle-grade series), but for an older age group? Actually, Dark Eden is two books, maybe three. Probably two. I do like series work and I'm working on a YA trilogy in the fall. If I keep up this trend, by the time I write my ninth YA series it will have ten books. Wait, is that right? Or nine books. Did I mention I'm leaving for Europe in three days and I have 3000 emails to answer before I go? I think I did. My brain is fizzy. Don’t worry. I’m a math major and trying to figure that out hurt my brain. Speaking of brain hurting, Thirteen Days to Midnight is published by Little, Brown, and Dark Eden by Harper Collins. What’s it like working with different publishers on different books? Is it a similar experience no matter what, or do different publishers do things differently? 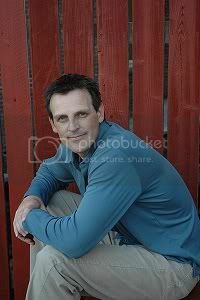 I also write for Scholastic (middle grade like Skeleton Creek, Land of Elyon, 39 Clues) and truly, they are all completely different. You know how if you hang around Facebook long enough you can actually get an idea of what Mark Zuckerberg must be like in person? (this is my party, glad you showed up, if you don't like it please leave). Same thing with publishers. They have distinct personalities that take awhile to figure out. For the most part they're made up of very smart people doing good work. It's hard not to like them. And they throw great parties! I created a mad-lib for Patrick, but his brain was a little "fizzy" and the results turned out... unusual. I'll let you see it for yourself. I was so Candy! I wanted to Bread! myself out of the Gross!, and being unkillable, I went ahead and did it. I got out of my chair and dove right of the edge toward the floor. It would have been better if I hadn’t dog the Wow! full of What the? and broken one of the Did not! off, but either way, it was just what the Double gross cat. Today's giveaway is hosted by Theresa @ Fade Into Fantasy! You could win an ARC of Dark Eden as well as some cool swag from Patrick. But you have to go to Theresa's blog to enter! Awesome interview. I've added the book to my to be read pile. Can't wait to get my hands on it, sounds very interesting. Haha this is a really good interview. I noticed you didn't insert the word gum! Lol. The book looks great! Adding to tbr list. Hmmm, haven't heard of these yet, I need to check them out! Nice interview! "Pray for my kids." LOL. I didn't even know he wrote YA. Thanks for the great interview! Mmmm...Breakfast...I also didn't know he had YA books. I will have to look them up! He is an AMAZING author can't wait for his next series to release!!! Thanks for the awesome interview! I shall pray for his children every time I open them up. Otherwise, they are on their own. Great madlib! Food is on my brain as well! Haha this guy is hilarious. Great interview! Thanks for the great interview and im looking forward to get my hands on this book! I loved the interview it was super funny.